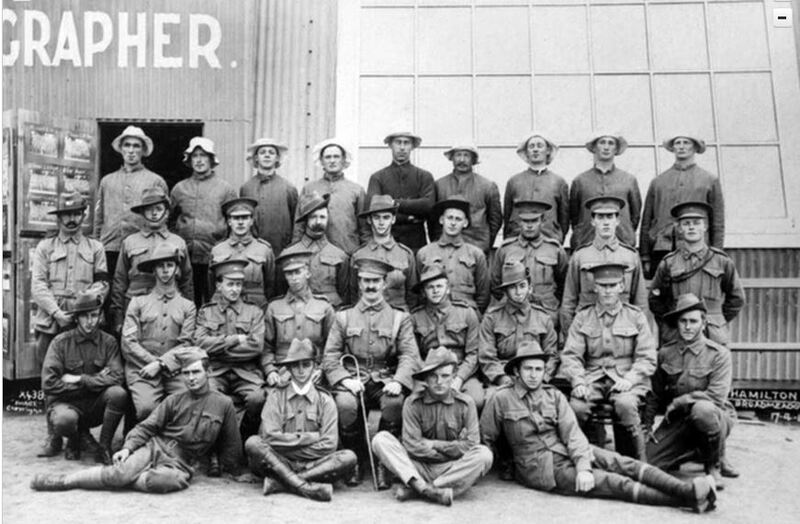 One of the features of Western District Families is Hamilton’s WW1 now with sixty-six profiles of enlisted men with Hamilton links. If you visit the Hamilton War Memorial and look at the names, you could be excused for thinking those men listed lived in Hamilton for a significant part of their lives or, at the very least, were born there. But that’s not the case, they were from all over with a few men having only a fleeting connection with Hamilton. Some of the men had fathers who moved often with work. Clifford Williams, who was unlikely to have even visited Hamilton, was a son of a teacher while William Thompson was the son of a railway worker who often moved his family. Both are on the Hamilton War Memorial (below). 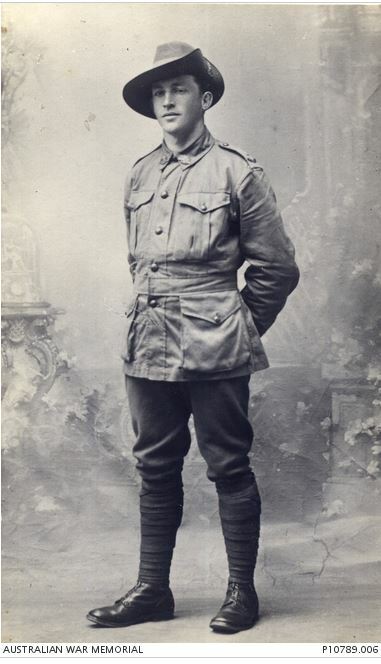 Others went to Hamilton as adults for work and were only there a short time before enlisting, such as Edwin Smith who arrived in Hamilton around 1913 to work at the Union Bank. 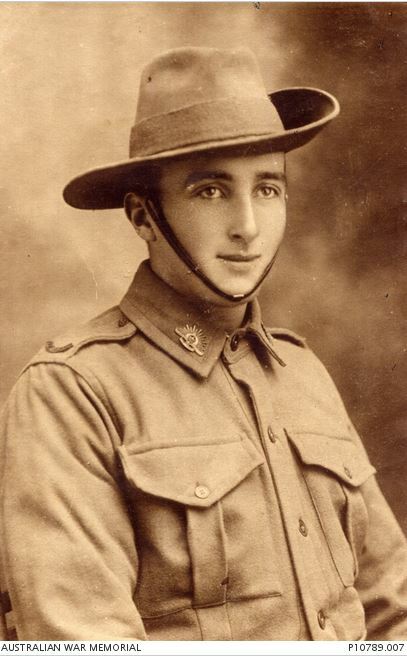 Reginald Briant was born in Hampshire, England and spent a few years in Melbourne before working for the Hamilton Electric Supply Company before his enlistment. 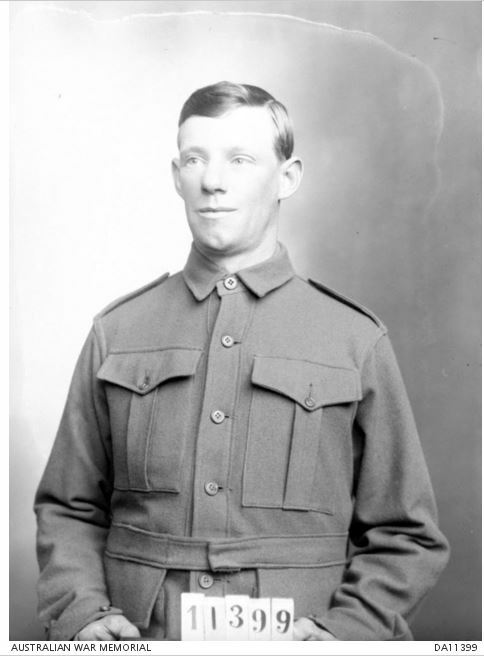 When searching for a family member on memorials and honour boards, clues from Electoral Rolls, Trove newspapers and the solider’s Attestation papers can help you find them. Even if your soldier’s family just “passed through” a particular town, it’s worth following up. Soldiers were often memorialised in several towns. 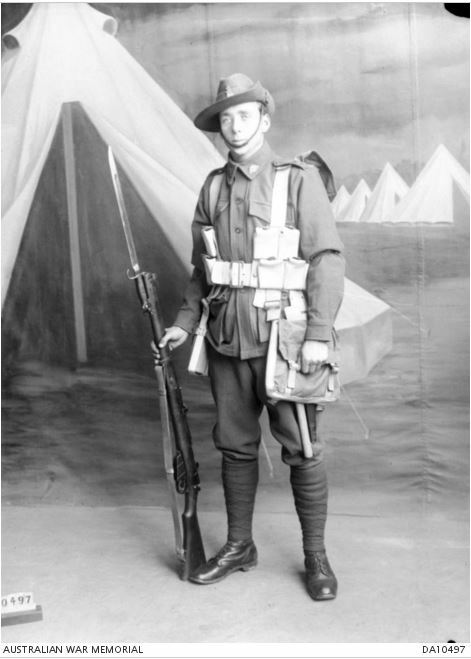 As well as the Hamilton War Memorial, Clifford Williams and Percy Osborne had trees planted along Bacchus Marsh’s Avenue Honour. And don’t overlook workplaces and churches. 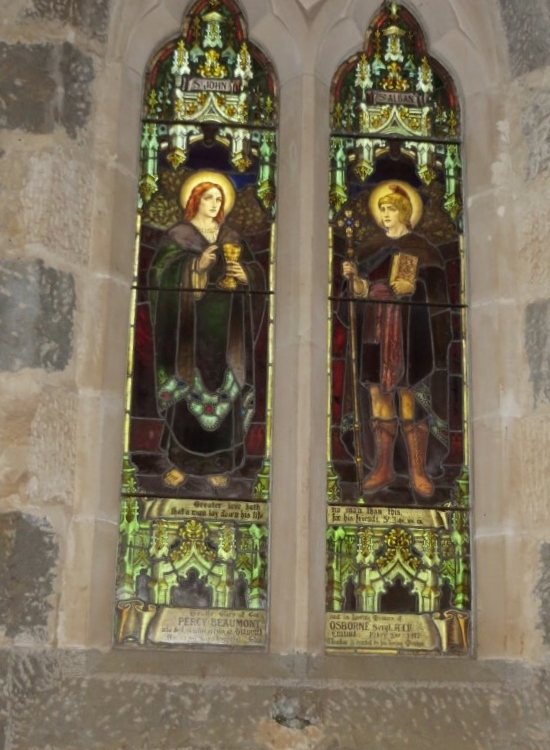 Percy Osborne has a memorial window at Hamilton’s Christ Church Cathedral (below) and is on the Union Bank Honour Roll in Melbourne. MEMORIAL WINDOW FOR PERCY BEAUMONT OSBORNE, HAMILTON CHRIST CHURCH CATHEDRAL. If you are wondering if Hamilton commemorated your WW1 soldier’s service, all Hamilton’s outdoor WW1 War Memorials including names are at Hamilton’s WW1. Eventually, I will add Hamilton’s honour boards. 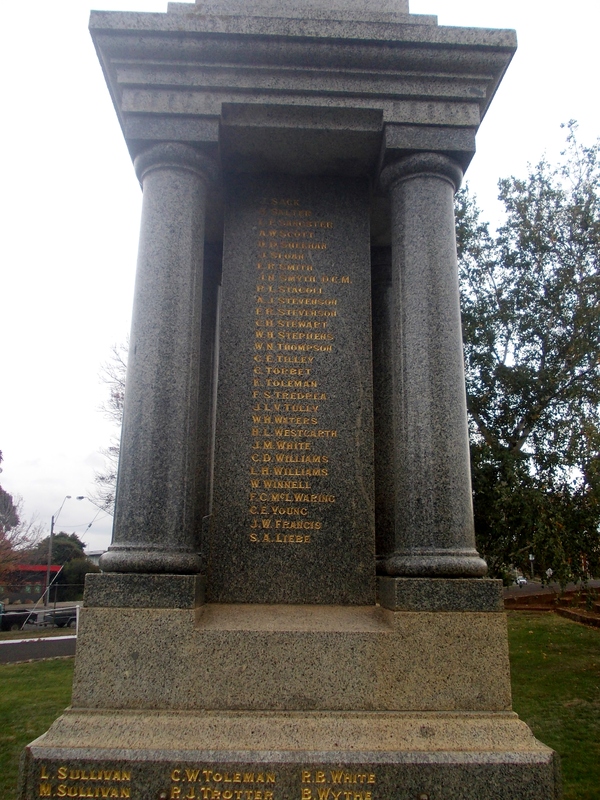 The Victorian War Heritage Inventory is a useful resource for locating memorials across Victoria. You can search by the name or a place. 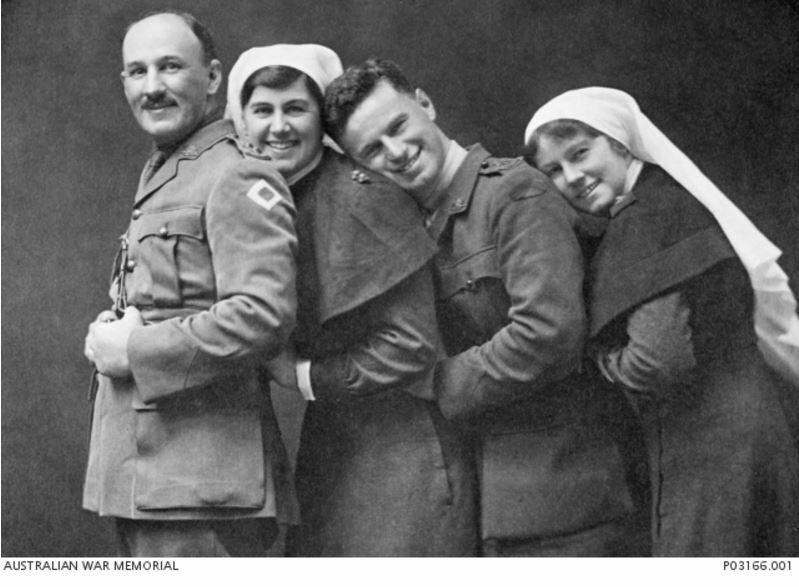 A quick reminder…to delve into the daily events of Hamilton 100 years ago, “like” the Hamilton WW1 Facebook page. Along with new profiles, six days a week I post an article from the Hamilton Spectator from 100 years before. It’s been interesting to read how Hamilton, just like other towns, continued on while so many were away fighting and how the subject of war managed to creep into most aspects of daily life. The names of the sixty-six soldiers profiled at Hamilton’s WW1 are below. I’ve included their place of birth and other towns they had connections to. Most never returned to Australia. For some of those who did, life was never the same. Lest We Forget. 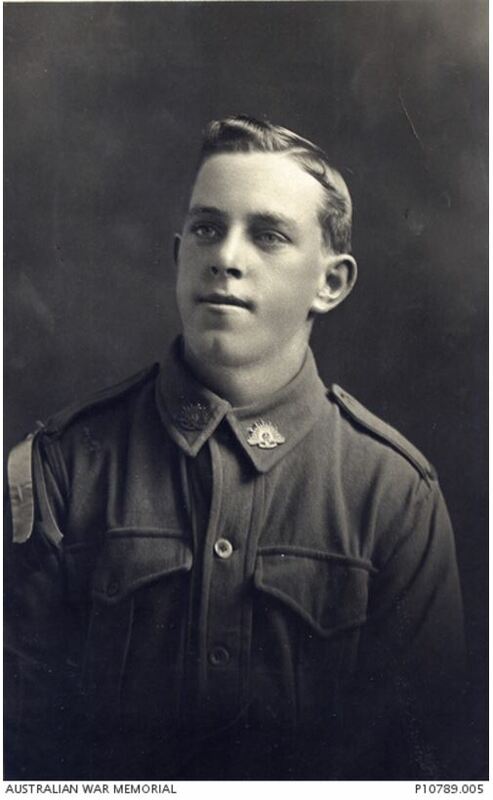 BRIANT, Reginald Stuart Hampshire (ENG), East Melbourne, Hamilton. 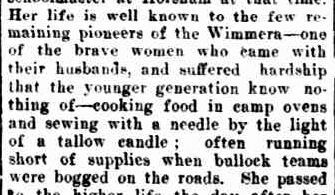 Once again an interesting band of Western Victorian pioneers were found in newspaper obituaries from February. There is a tightrope walker, philanthropist, a motor car pioneer and several hardy pioneer women. It continues to amaze me the lives the pioneers lived. I mean, who could imagine a tightrope walker living in Portland in the 19th century, in fact at anytime! Thomas STODDART: Died 20 February 1905 at Ballarat. 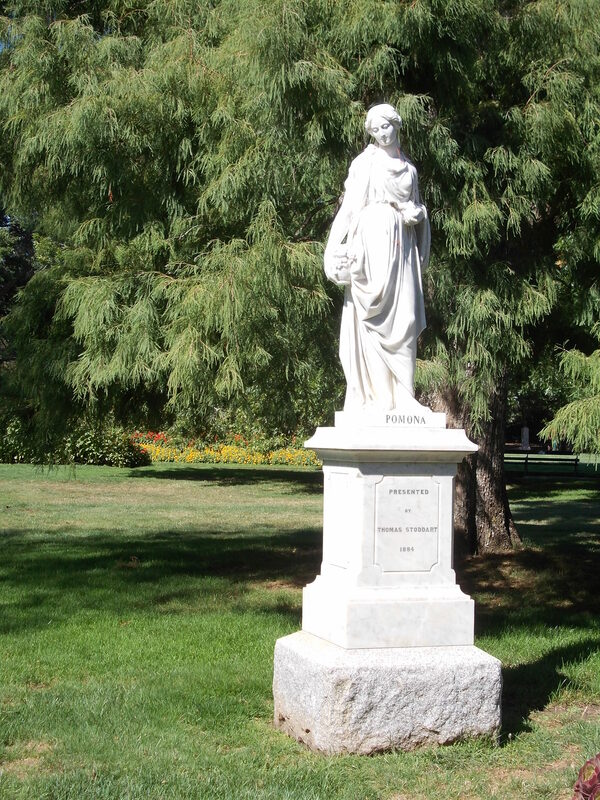 When next in Ballarat admiring the many statues in Sturt Street and the Botanical Gardens, thank Thomas Stoddart. He was responsible for getting the ball rolling for leading Ballarat identities to give statues or money towards statues, to the city. 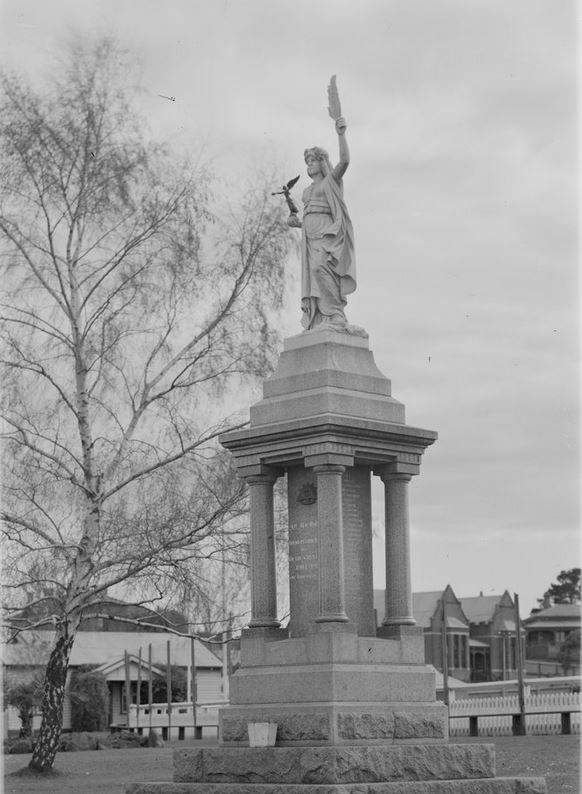 From digger to stockbroker, Stoddart donated twelve statues to the city of Ballarat in 1884 after a trip to Europe. 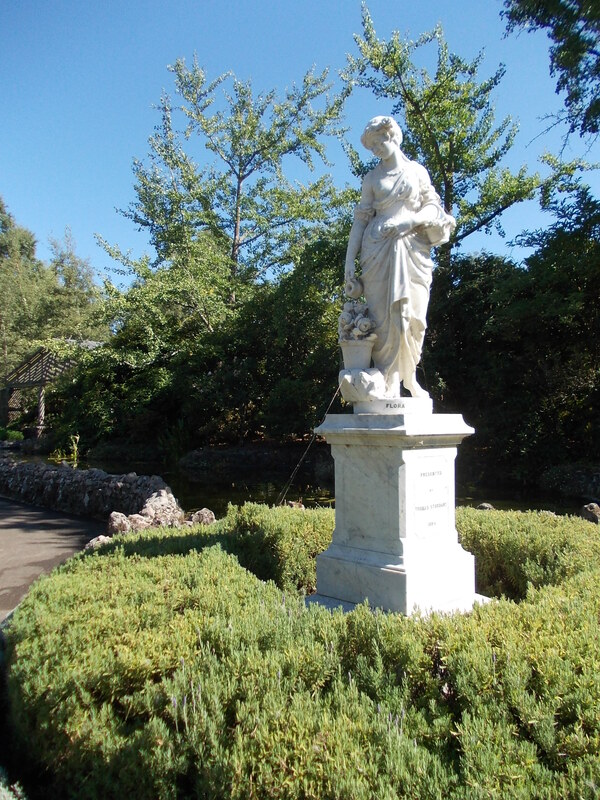 This act of philanthropy saw some of Ballarat’s other wealthy citizens bequeath money to fund more statues. In fact, John Permewan who featured in December Passing of the Pioneers donated the well know “Hebe” which stands in Sturt Street. As well as the obituary from the Horsham Times a lengthier obituary appeared in The Argus on February 21. 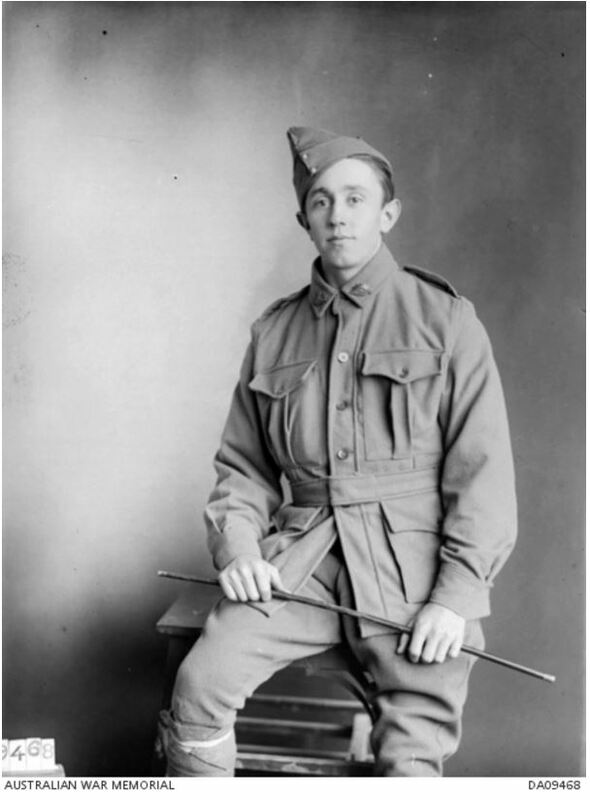 John COFFEY: Died 9 February 1908 at Melbourne. John Coffey was born in Limerick, Ireland and came to Australia with his brother in the 1860s. He first went to the Wimmera while carting between Melbourne and the Wimmera. Making a permanent home there, he worked as a farmer and a hotel keeper. He left a wife, Catherine Almond, five daughters and three sons. Thomas HENNESSY: Died 19 February 1908 at Horsham. Thomas Hennessy arrived in Victoria in 1859 aboard the Royal Charter from Limerick, Ireland. He began farming around Koroit, lost a leg, and moved to the Pimpinio district where he farmed for many years. An accident prior to his death contributed to his demise. 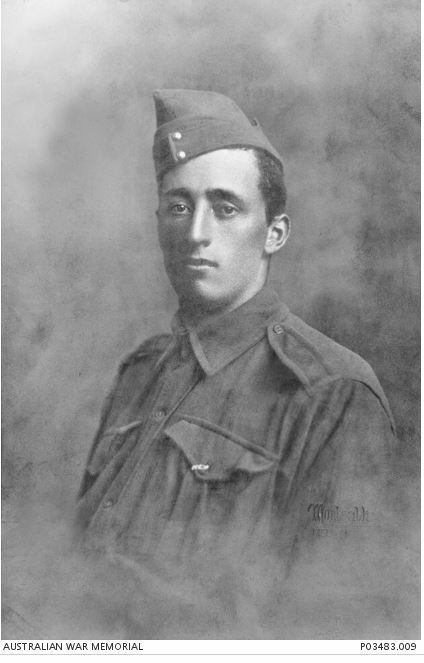 James DAVIDSON: Died 12 February 1913 at Narrawong. James Davidson, born at Narrawong, was described as a “good all-round citizen” in his obituary. He was involved in the mounted rifles and athletics. Matilda GILCHRIST: Died 14 February 1914 at Hawthorn. Born in Paisley, Scotland, in 1920 she arrived on the Star of the East in 1855. Her husband Thomas Lang was a well-known horticulturist in the late 19th century. Matilda was a principal of a girls’ school in Ballarat for a time. Mary Ann DREW: Died 15 February 1915 at Willaura. Born in Buckinghamshire, England, Mary Ann Drew came to Victoria in her twenties during the 1850s. She worked at Golf Hill Station at Shelford for George Russell, before moving to Sandford where she married William Lindon. Mary Ann lived at Willaura with her daughter for the last ten years of her life. 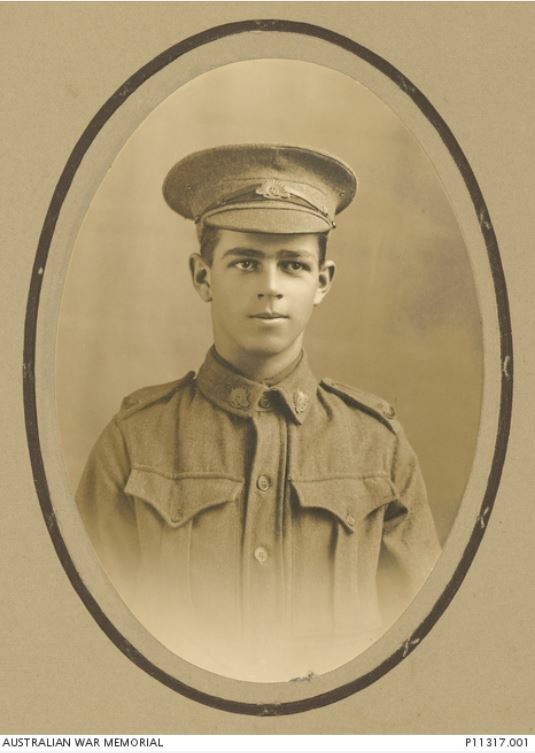 Edward Harewood LASCELLES: Died 12 February 1917 at Geelong. Lascelles is a well-known name in WesternVictoria. Not only does his name form part of the Geelong wool broking firm Denneys Lascelles & Co, the town of Lascelles in the Mallee was named after him. Edward Lascelles was born in Tasmania in 1847, married Ethel Denney and they had six children. He was a leader in vermin extermination on his property in the Mallee and was the first to introduce share farming in Victoria. 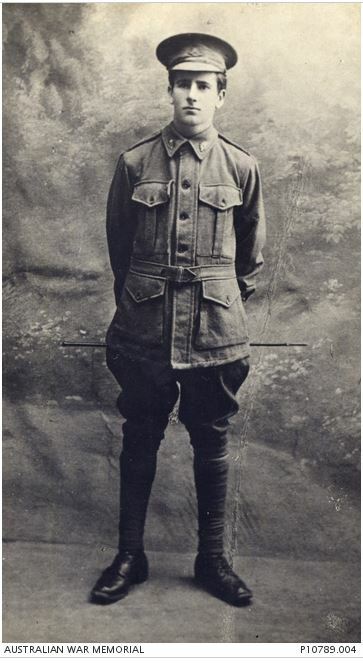 Martha MATHEWS: Died 14 February 1918 at Buninyong. Martha Mathews was a colonist of 64 years, arriving in Victoria to join her husband, Richard Phillips on the goldfields of Ballarat. Martha enjoyed telling stories of the goldrush days. Janet SIMPSON: Died 19 February 1920 at Bondi, New South Wales. Janet Simpson, her husband Robert Clark and four children sailed for Australia in 1857. One child, Agnes died during the journey. At the time of their arrival, the train line to Horsham was under construction, so the family took a coach to Stawell, then bullock wagon to Horsham. She was one of the many pioneer women who coped under tough conditions. William HANLON: Died 19 February 1923 at Portland. William Hanlon was the mayor of Portland 11 times. His interests within the municipality included President of the Portland Free Library. William ROBERTSON: Died 2 February 1924 at Portland. A colonist of seventy-seven years, William Robertson arrived in Portland as a five-year old with his parents. He had travelled to New Guinea and Western Australia as well one time riding in the Great Western Steeplechase at Coleraine. Charles Francis PATTERSON: Died 17 February 1933 at Portland. Charles was born in Portland in 1857 and spent some time in Western Australia on the railways. It was there he met his future wife and after marriage, they returned to Portland to raise ten children. Charles was a popular figure around the town and he worked in the fish distribution business. Alfred Irvine HOGAN: Died 8 February 1934 at Portland. From tightrope walker to sawmiller, Alfred Hogan was an interesting chap. Arriving in Portland as a young man, he gained notoriety as a tightrope walker performing daredevil tricks in the mould of “Blondin” the French tightrope walker. Age must have caught up with his tightrope walking feats and he turned to sawmilling, with his obituary crediting him as a pioneer of sawmilling in the Portland district, an industry which became one of the biggest in the area. Alfred also had a keen interest in Australian Rules football and was one of the people behind the development of Hanlon Park, which is still home to the Portland Football Club today. Mary Jane SPIKEN: Died February 1934 at Warrnambool. Mary Jane Spiken’s mother Anna Harland arrived in Victoria with members of the Henty family. Anna married John George Spiken with Mary Jane born around 1861 at the Henty homestead. Mary Jane married William Jenkins and they had seven children. She was a wealth of knowledge on the early days of Portland. Fanny Ann MALSEED: Died 13 February 1936 at Myamyn. Fanny Ann was the daughter of James and Eliza Malseed of Mount Richmond. She married Thomas Edmund Adamson around 1886 and they raised eight children. 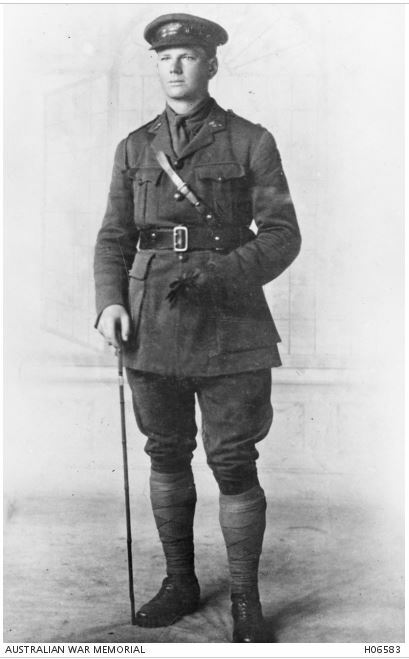 Richard YOUNG: Died 16 February 1939 at Horsham. 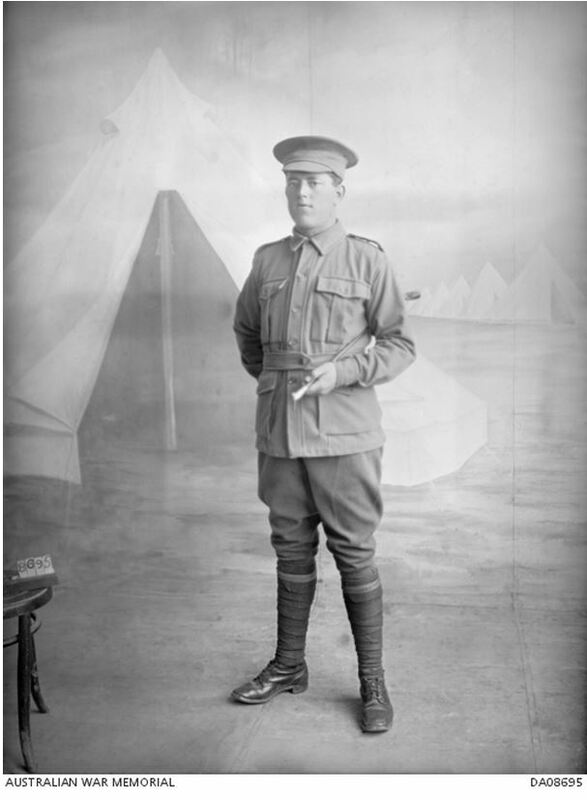 Richard was born at Clunes and moved to Horsham with his parents as a ten-year-old. He married Isabella Anderson and they raised a large family. Richard was a keen footballer and played for United Traders football club. He was a founding member of the Horsham Football Club and was an active member of the local fire brigade. Walter Birmingham EDGAR: Died 22 February 1939 at Portland. Walter Edgar was born at Pine Hills Station at Harrow in 1856. Educated at Hamilton College, he achieved the double honor of dux of the college and athletic champion. Despite studying civil engineering at Melbourne University, he returned to Pine Hills to take up agriculture pursuits. In 1882, he married Jessie Swan of Konongwootong. In the years before his death, Walter toured England, Scotland, Norway and Sweden with his daughter. In his younger days, Walter was something of a cricketer and golfer. 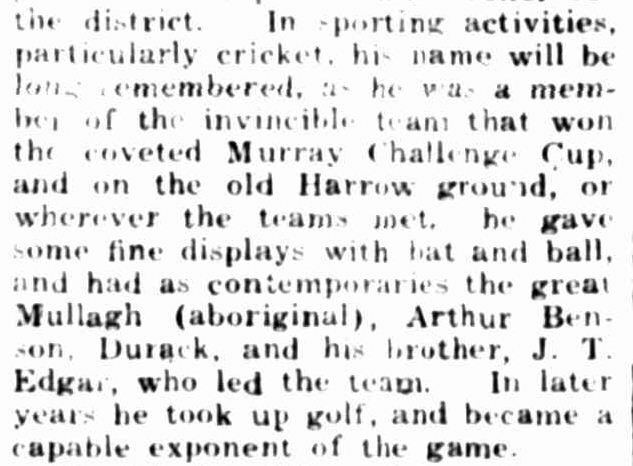 He and his father played some part in the Aboriginal cricket team touring England in 1867. The team included Johnny Mullagh who Walter often played cricket with. Ann NIVEN: Died 24 February 1942 at Coleraine. Ann Niven’s came to Australia at five, but without her parents. They arrived at a later date, but until then Ann was under the guardianship of Mr and Mrs Christorphen. They lived where Balmoral now stands, but then it was only bush. She married William Bird, living at Wombelano and then for the last thirty-two years of her life, at Coleraine. Mrs Bird was the mother of eleven children. Patrick HENRY: Died February 1942 at Terang. Patrick Henry, with his parents, settled in the Woodford area upon their arrival in Australia in 1866. He began driving bullock wagons as a teenager and worked in that occupation until he was eighty-six. When he finally retired, it was thought he was the oldest bullock wagon driver in the Western District. 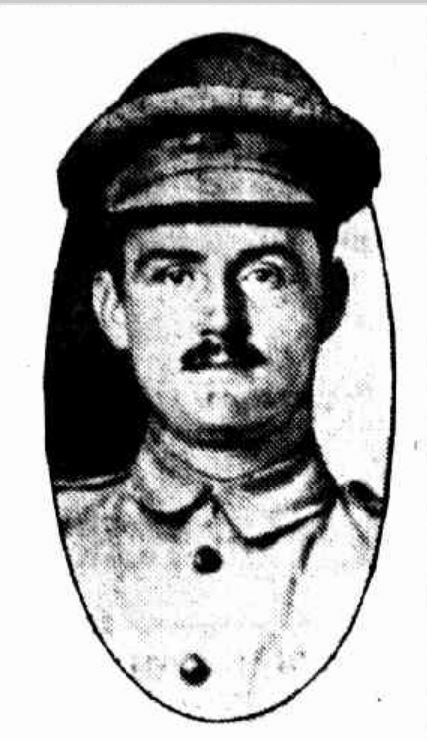 Thomas Turner SHAW: Died 1 February 1949 at Beaumaris. 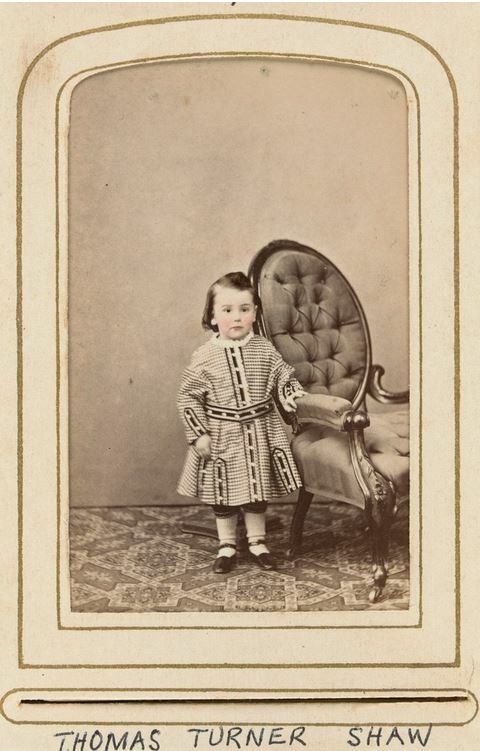 Thomas Shaw was the son of Thomas and Catherine Shaw. He was born in Victoria in 1864. Thomas Shaw was a not only a pioneer of fine merino wool production but also motoring in Victoria. He drove one of the first steam cars and was also a founding member of the Royal Auto Club (RACV).